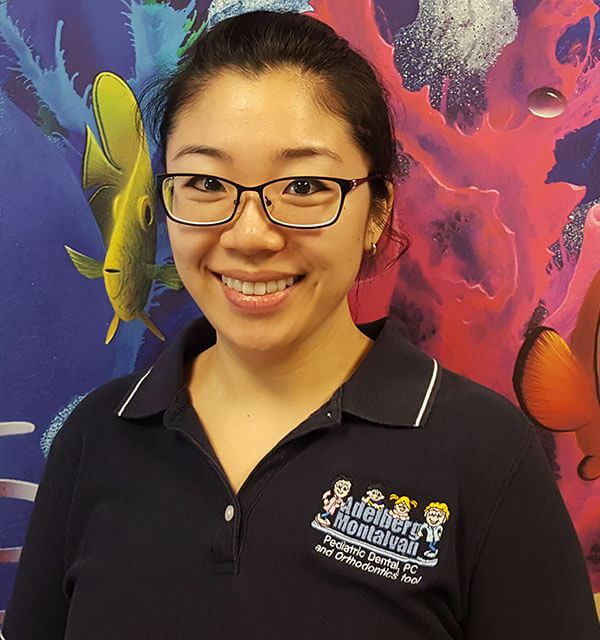 Dr. Sabrina Cheng was born and raised on Long Island, and graduated from Barnard College with a degree in Neuroscience and Behavior. She then pursued and enjoyed a career in high school science education, completing her master’s degree while teaching Biology and Chemistry in Manhattan. Having never forgotten her passion for the medical field and art, she changed careers to pursue dentistry at the University at Buffalo School of Dental Medicine. Dr. Sabrina then completed her one year general practice residency at Winthrop University Hospital, and particularly enjoyed working with kids and adolescents. She is a member of the Academy of General Dentistry, American Dental Association, NYS Dental Association, Nassau County Dental Society, and the American Academy of Pediatric Dentistry. Dr. Sabrina currently lives and practices in New York as a general dentist, and looks forward to joining the team to provide excellent care to our older patients at Adelberg and Montalvan!